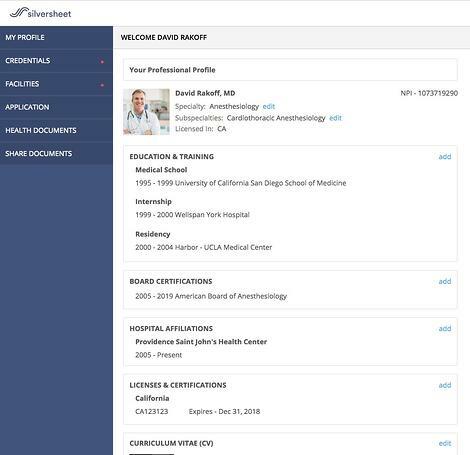 Over the past year, we started supporting more and more provider types to join Silversheet to manage their own professional credentials, including APRNs, dentists, and podiatrists. As more and more providers join Silversheet daily, we thought it'd be a good idea to redesign the provider experience and introduce several new features and improvements. Upon logging in, the first thing providers will notice is the new Professional Profile section. 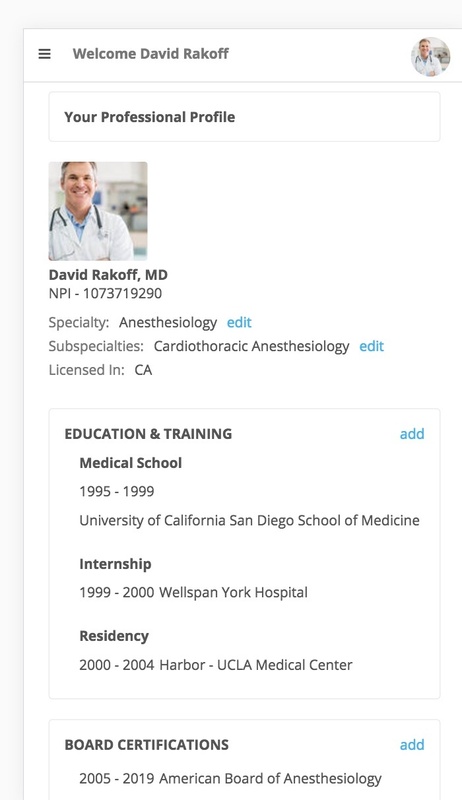 Since Silversheet is an app for healthcare providers to manage their professional credentials, we wanted to make it convenient for providers to fill out their professional profile in the simplest way possible. Providers will be prompted to input information about their education/training, board certifications, medical licenses, and hospital affiliations. Information they fill out here will automatically carry over to the respective fields on their appointment application. Our "Provider Administrator" feature allows providers to grant their administrators access to manage their account. Now, we've made it simple for providers to grant access to their admins right up front. Simply input an admin's email address and hit 'Grant Access'. We'll invite the administrator onto Silversheet, where they can manage one or many Provider accounts, and help keep their providers' professional credentials up-to-date. Need to access a provider account on-the-road? No problem. With our redesign, the provider experience is mobile friendly, and always accessible via any mobile browser.